Why am I unhappy to upload photos taken trackside 'inside the boundary fence', even if from a legitimate location such as a public foot crossing? Well, what else do I need to say after seeing an example like this? 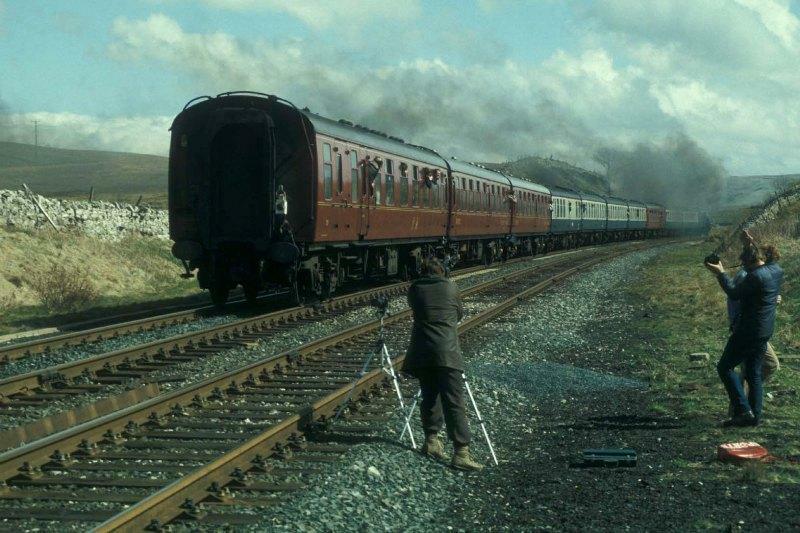 I was told this photographer had to (very rapidly) move his tripods a few minutes before the arrival of the steam tour because of a service train passing the other way...good job the service train wasn't a few minutes later when he was distracted by getting his photos of the passing tour!